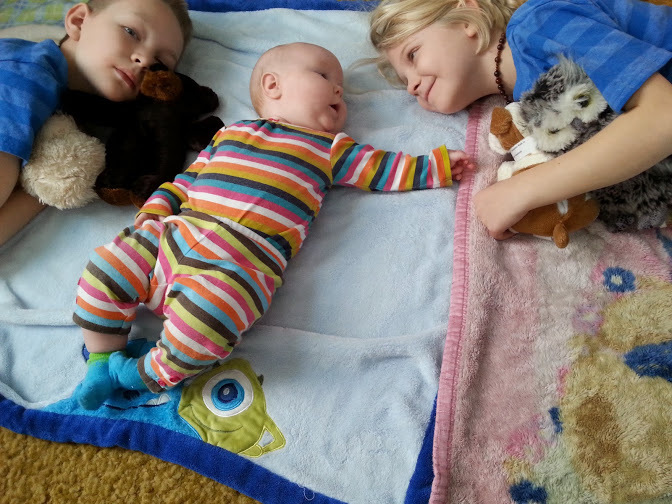 In case you are just tuning into my blog, I have three kids. There is a pretty large age gap between the last two. While we were not going for a large age gap, our last child was planned. Between this and homeschooling, we sometimes deal with some ridiculous statements. So I thought I would list some of them for those of you who may have had to deal with the same thing, along with some fun responses that I want to say but don’t. 3. “Well, you just shot yourself in the foot, didn’t you? Now you will NEVER be alone!” Actually, that was kinda the idea. When we decided to have one more kid, we were thinking of maybe having another after that. I kinda liked the idea of having kids in my house until I have grandkids to spoil. I like kids, even though my kids drive me absolutely bonkers. Thing is, they still drive me less bonkers than most adults do. Plus, I work with kids! I honestly don’t know what to say when people say this one. It just sorta irks me. 5. “I don’t know how you do it.” I don’t know how I do it either. I don’t know how any parent does it. We just do. It’s crazy, and our kids are sometimes difficult, but we get through. Some days and stages are easier than others, but I wouldn’t trade any of it. My kids drive me insane sometimes, and there are days I lock the bathroom door and cry. However, I don’t know what I would do without my crazy bunch…the three that are mine…the 12 I have hosted through the years. I usually just shrug my shoulders. This statement isn’t meant to be malicious usually, but I do hear it often. I am sure some of you do as well. So…what statements have you heard since having kids? Which ones annoy you? Feel free to share yours in the comments below! We’re a blended family with 3 kids, 14, 9 and 2. One question I always get (I look young too) is, did you start when you were in high school? It’s like thanks for thinking I look young, but that’s a really rude question. I have two boys, the youngest is almost two…I’ve run out of fingers and toes to count the amount of times in the last few months I’ve been asked “are you going to now try for a girl?”. I laugh at how people think I can actually choose which gender I’d like to have! I’m more than happy with just my two boys, but it seems people assume I must now NEED a third!